Rent villas and apartments in Pont-l'Abbé, France. Book affordable holiday rentals that are near a golf course. 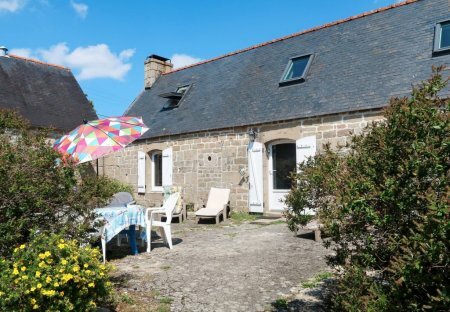 This 3 bedroom house is located in Pont-l'Abbé and sleeps 6 people. The house is near a beach. 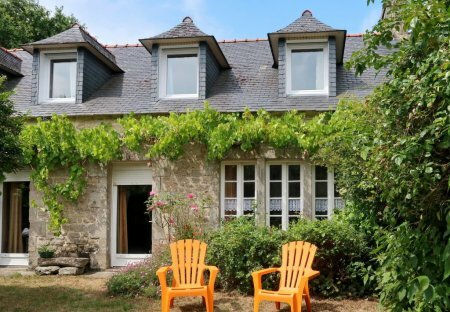 This 4 bedroom house is located in Pont-l'Abbé and sleeps 6 people. The house is near a beach. This 2 bedroom house is located in Pont-l'Abbé and sleeps 4 people. The house is near a beach. This 3 bedroom house is located in Pont-l'Abbé and sleeps 7 people. The house is near a beach. This unique property with manicured lawns, at the tip of the Ile de Chevalier in southern Brittany, near Pont l'Abbé provides you a glimpse of paradise. This comfortably furnished holiday home is located on a garden plot in the old Breton town of Pont-l'Abbé. It is situated in the extreme south-western part of Finistère, on an estuary.